The HP Compaq 8200 Elite Series incorporates the newest business PC technology with HP’s designs, and specific programs and services created for business including stable and lengthy lifecycles, and security and remote management solutions. 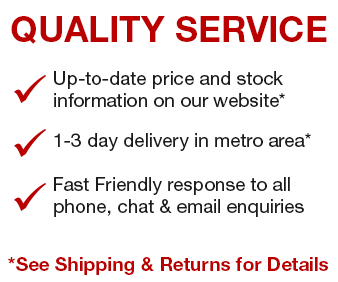 The result is our best performing line of business PCs to date. The latest innovations combined with HP’s engineering excellence and new BIOS designs make the HP Compaq 8200 Elite Series the right choice for your business today and tomorrow. Featuring Intel® 2nd Generation Core™ vPro™ processors providing hardware-based remote management solutions that enable a stable, secure and reliable IT infrastructure. Configure your PC with industry-standard data drives and devices including a Media Card Reader. Other options for your business include discrete graphics options, wireless networking. Includes HP ProtectTools™ Security Suite that helps to provide protection for your PC and verifies it does not become a point of vulnerability. HP ProtectTools™ is flexible allowing you to adopt only the modules that meet your security needs. HP has designed this product with materials free of brominated flame retardants (BFRs) and polyvinyl chloride (PVC) to help support your environmental initiatives. Reduce your impact on the environment and help lower operating costs with ENERGY STAR® qualified models certified as EPEAT® Gold. Easily optimize the PC’s power settings with HP’s exclusive Power Assistant application. You’re in control with HP Elite Series’ energy efficient options. 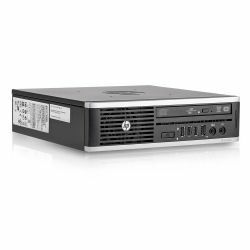 There is an HP Elite Series form factor to fit your workspace and performance requirements. Choose the Ultra-Slim Desktop with flexible mounting options, Small Form Factor, Microtower, or Convertible Minitower for the most expansion flexibility. With business needs in mind, we’ve placed line in and line out ports and USB ports up front for convenience. Connect dual external monitors via VGA and DisplayPort connectors to help you work more productively.